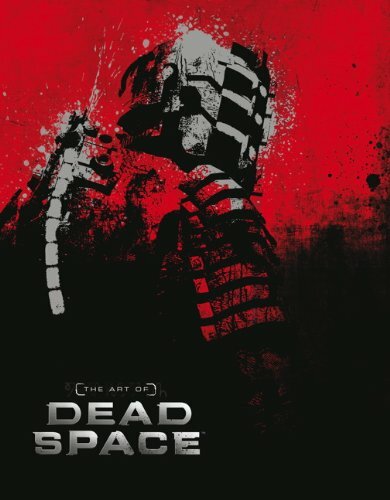 The Art of Dead Space is a wonderful concept art book for the chilling game series. It has 192 pages and a hardcover with a nice matte surface going on. The book collects art from all the three games so far. Squeezing three games into 192 pages means that some artworks could not be included. So at times, I was thinking,"Shouldn't there be a bit more of this and that?" Having said that, this artbook is as good as it can get. It's great actually. All pages are filled with huge detailed concept art of the characters, creatures, vehicles, spacecrafts and environments. The content covers Isaac, Ishimura, Machinery (all the hardware and stuff), Marker, Necromorphs, The Sprawl, New Horizons Colony, Tau Volantis. The painted art are gorgeous. Creature designs are awesome. You can feel the grit of the world and the chilling sensation from the grotesque creatures. There are many what-the-hell-happened-here interior art, dying space stations and haunting locations. The art direction really nailed down the look and feel of this intriguing yet horrific world. This is fantastic video game artbook for fans of the Dead Space, sci-fi art and creature design. Highly recommended. There's also a clamshell edition for the Dead Space artbook available. Great review as always. Thought your readers would like to know that there's a limited 'clamshell' version of this book being sold directly by EA. Now this looks awesome! Imagine my flustration when I bought the previous one and when it arrived it turned out to be so small that you should view it with a magnifying glass.